Nepal is one destination that will fire up the imagination of your delegates. Some curious, some incredulous, some a little nervous, some still ambivalent but for once, you are going to bring excitement that will turn men and women into boys and girls. Nepal offers a vast range of hotels, convention centers and conference facilities, from small to big for a perfect selling. 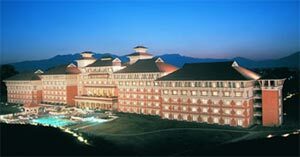 Katmandu offers a wide choice of conference centres. Besides the conference facilities at the five star hotels, there are alternatives. Birendra International Convention Center has state-of-the-art facilities for conferences and conventions with sophisticated audio, video, lighting, communications, catering, ventilation and parking facilities. Other venues include the Royal Nepal Academy, Rastriya Sabha Griha (City Hall), Russian Culture Center and Bhrikuti Mandap Exhibition Hall. 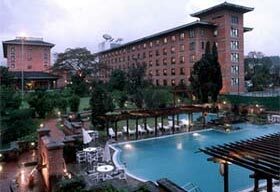 Kathmandu has a number of international class hotels to suit every one's fancies and finance. Soaltee Holiday Inn Crown Plaza, Hotel Yak & Yeti, Hotel Everest, Hotel Annapurna, Hotel Radisson, Hotel Hyatt, Hotel Shangri-La and Hotel Le Meridian are the five star hotels in Kathmandu. Outside Kathmandu, there are some finest hotels/resorts such as Godavari Village Resort in Godavari (approx 20 km from Kathmandu) and The Fulbari (one of the finest hotels in South Asia) in Pokhara. Under the SILK ROAD GROUP Adventure Silk Road Inc & Abode Asia Tours & Travels Inc. has handled several Incentive Groups both from International and Domestic markets offering unique programs especially designed to suit the budget and liking of the participants in a perfect manner. Nepal is a dream come true for an organisation that is is looking for a new and exciting desitation to offer as a special location for Incentive trips, Meetings, Special events, Photo shoots, Location scouting, Seminars, Conventions, Group arrangements, TV-spot-shoots and Product launches. With its unsurpassed scenery and unique blend of culture Nepal offers something very different. It can be a historical city Kathmandu, hill resort in Nagarkot and panoramic view point Dhulikhel, Mountain area Jomsom or Lake City of Pokhara; we can always plan your conferences, seminars and Incentive Groups with special events and programs as per your requirements. Birendra International Convention Center (BICC) has been designed to ensure concentration on the days proceeding with a selection of sound proof halls, a fully staffed reception and massive auditorium which surprises most by its discrete yet powerful presence. Doing the business in staffed reception and massive auditorium which surprises most by its discrete yet powerful presence. Doing the business in such a comfortable, efficient and attractive environment can give a new perspective to your day, it makes for stimulating and productive sessions with many opportunities to relax, refresh and enjoy yourself. The center is naturally able to make every visitor feel special and to be attentive to his or her particular needs. A decision to choose a meeting destination rests on so many things. At BICC we?ve managed to address the key requirements of MICE (Meeting, Incentive, Conference and Exhibition) planners, presenters, and delegates through a philosophy that treats every client as an individual and delivers service in a style and location that is truly unique. The chance to experience the special charm, color and culture where business is blended with pleasure discovers the BICC with world-class facilities.